FANS attending the Liqui-Moly Bathurst 12 hour will have their eyes filled with Ferrari’s finest as soon as they enter the precinct this weekend. As the featured marque at this year’s event, an huge Ferrari presence of road and race cars to be on display and on track this weekend – including a host of cars on display in a dedicated Ferrari marquee located in Harris Park – just near the main access gate to the circuit. The enormous presence will also support the on-track campaign for a second Bathurst 12-hour victory: Craig Lowndes, Jamie Whincup and Toni Vilander to steer the Maranello Motorsport Ferrari 488 GT3. A dedicated Ferrari on-track session on Saturday evening will see the iconic 950-horsepower LaFerrari, the F12 tdf and the Ferrari 488 take to the track, while upwards of 10 road cars will be on display in the Ferrari marquee in Harris park. 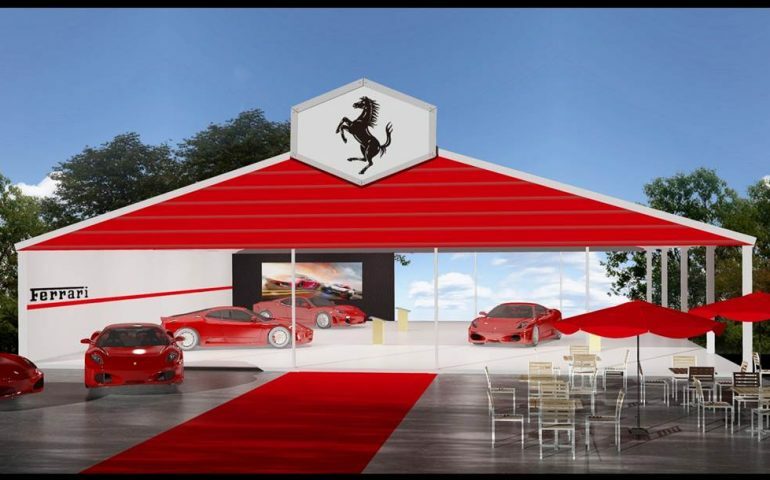 The dedicated Ferrari marquee will also include a replica Ferrari Formula 1 car on display, plus a classic Ferrari F40 – one of the most iconic cars ever produced. “Ferrari is delighted to be the featured marque of the 2017 Liqui0-Moly Bathurst 12 hour. The Bathurst 12 hour event is the perfect festival for Ferrari to showcase our latest range of sportscars to Ferrari owners, our future clients and fans alike, both on and off the track,” said Ferrari Australasia CEO, Herbert Appleroth. “For our fans we will have on display in the purpose build Ferrari Clubhouse a La Ferrari, a 488 Spider and the new GTC4 Lusso T. Also on display will be some of the most collectible Ferrari of all time including an F40, 599GTO and F12 tdf. For our smallest fans there will also be kids face painting and Ferrari mock tattoos. Access to the Ferrari showcase at this year’s Liqui-Moly Bathurst 12 Hour is free to all ticketholders, with the Ferrari marquee located in Harris Park, near the main entry gate and the all-new Manufacturers walk area at Mount Panorama.